So we are now not allowed to keep pet pigs? As a more and more popular trend with many celebrities keeping them as pets, the Metro website has reported on Clarion Housing who are looking to eject their tenant following receiving a complaint by a local neighbour…. We wonder who that complaint come from as many people are aware that pigs are popular pets and do not have any issues with them so long as they are kept and treated for correctly with enough space to do so – Many of the neighbours are in support of the family and likewise enjoy the pig being a local family pet. 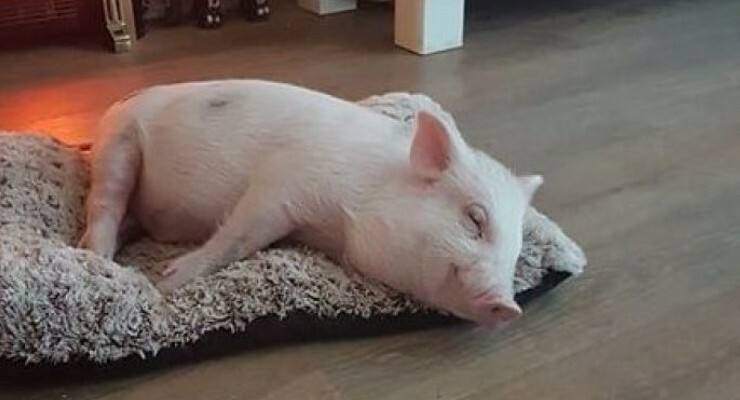 A nice story formulates as part of this in that a vegan family (Williams), rescued the pig from an ‘awful’ pig breeders to adopt it in to their loving home alongside their other pets where it now enjoys it days. Now they have two weeks to get rid of the pig so not to offend a local neighbour otherwise they will be ejected from their home. Arlo the pig now has an online petition running (signed by us now) to help keep the family pet at home.